Only after its Chinese counterpart overtook Vietnamese ginseng in local markets, did people start realizing that low quality herbal medicines are rampant in Vietnam, causing confusion among customers. Shop assistants in traditional medicine shops on Hai Thuong Lan Ong, Trieu Quang Phuc, Luong Nhu Hoc Streets, all part of an area famous for Chinese traditional medicines in District 5, Ho Chi Minh City, said they can supply as much ginseng demand requires. At a store on Luong Nhu Hoc Street, ginsengs stuffed in huge nylon burlap sacks, along with other plant and bark products, do not indicate their place of origin on the packaging, which only advertises their cost. Meanwhile, the owner withdrew varieties of ginseng from a drawer, claiming it had Korean origins, but they smelled moldy and looked like dried turnips. According to some herbalists, most of ginseng sold by the kilogram usually comes from China and are extractions of the essence of young herbs. Traders only purchase residues to sell; some of them even add refuse to the residues to steep, in order to create a more weighty supply and then soak the ginseng steeped in garbage with chemicals so it lasts longer. A recent survey conducted by Vietnamese Ministry of Health revealed that more than 50 percent of herbs sold in these streets are imported illegally, and have unclear origins. Furthermore, the quality of 90 percent of Chinese herbs has not been tested by responsible agencies. Not only is Chinese ginseng’s quality is dubious, Korean varieties are of doubtful eminence as well. Employees of two Korean ginseng exclusive importers on Nguyen Thong Street in District 3 insisted their products have good quality, but did not have secondary labels of Vietnamese importers. 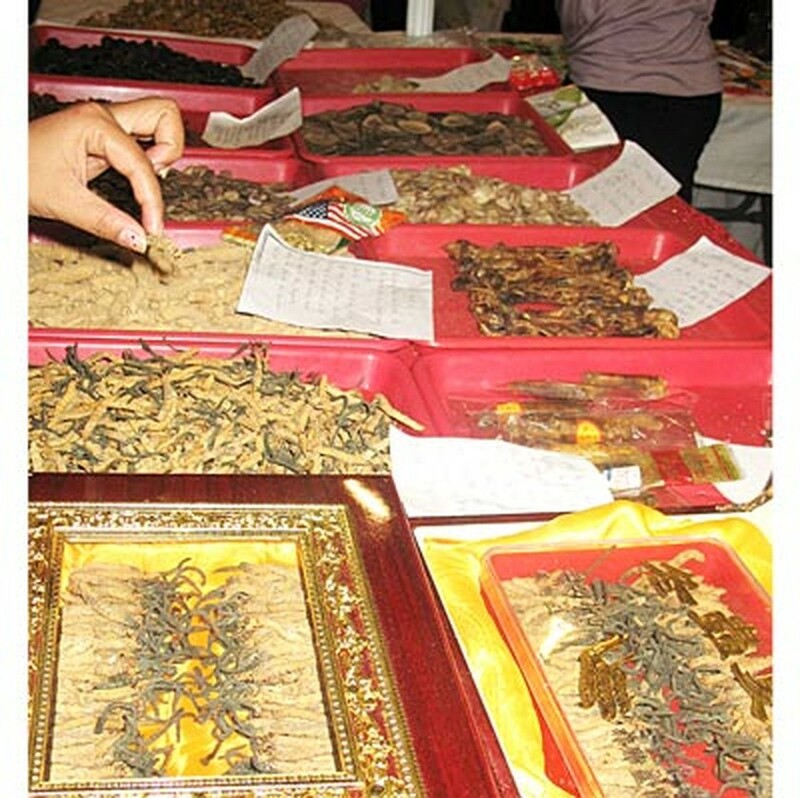 Dr. Tran Cong Luan, Director of Ho Chi Minh City’s Ginseng and Medical Materials, said high quality and false ginsengs jumble together in the higgledy-piggledy market. For instance, Ngoc Linh ginseng, a precious herb of Vietnam, has been recently sold at over VND3 million per kilogram in the highlands province of Kon Tum and the central province of Quang Nam. However, the cost of genuine herbs fetch over VND8 million a kilogram; tests proved cheap ginseng came from China and showed that they had been soaked with chemicals to keep longer. Doctor Le Hung from the Traditional Medicine Institute in Ho Chi Minh City advised people to purchase ginseng verified with certificates issued by a center for medical materials, and not to spend money on shady products of dubious origin.